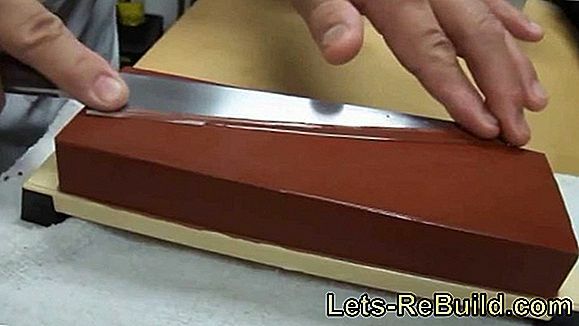 Which materials would I like to drill? Which power do I need? Which accessories should I pay attention to? 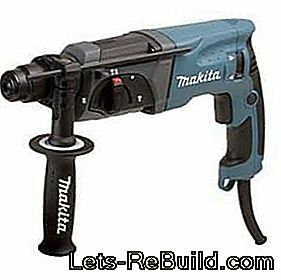 The drill is one of the oldest electric tools and is versatile. 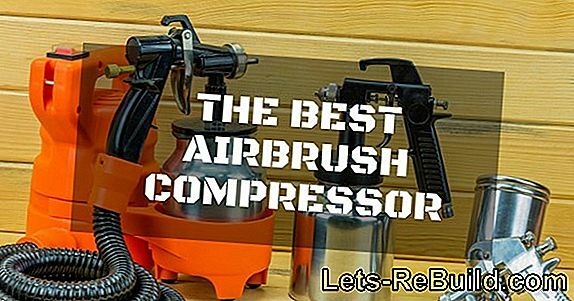 First and foremost, of course, it is meant for drilling holes in different materials. But even with "different materials" begins the agony of choice. Not every drill that has a rotating chuck is suitable for drilling into any material. 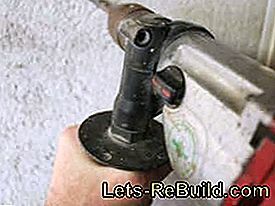 Simple drills may already be overwhelmed when hanging an image and even the most powerful rotary hammers are unable to drill small clean holes in soft wood. In addition, the question arises as to whether the chosen model should only be used as a handheld device or should also take over the work of a bench drill. Therefore, it should be considered before the purchase, which work areas should be covered with the drill. Only then is the question of performance, manufacturer or drive type. As many drilling machines as possible should be compared here. How old the first "drill" can hardly be proven today. Some speak of 3500 BC. By contrast, others believe that they have found much older drill holes that would hardly be possible without a drill. The Menscheit has, however, needed a lot of time to create an electric hand drill from crank or Brustleier. While large boring mills with horse drive reached more or less exact boreholes as early as the 16th century and the electric drive was introduced in the 19th century, it took until 1895 before the first craftsman was allowed to hold an electrically operated drilling tool in his hand. It was the well-known company Fein who made drilling much more flexible. Today, it's hardly about reinventing the drill. Instead, it has to get smaller and smaller, have more power, work more closely and have special equipment. The machines are becoming more and more special and it will be harder to find the right device. Drill without impact function for professional users. Drills differ fundamentally in their function and operation. As an important basis of electric hand drills here are the simple drill, the impact drill and the hammer called. Even if one speaks of "simple drills" because they have neither a hammer nor a hammer mill, the background has changed over time. 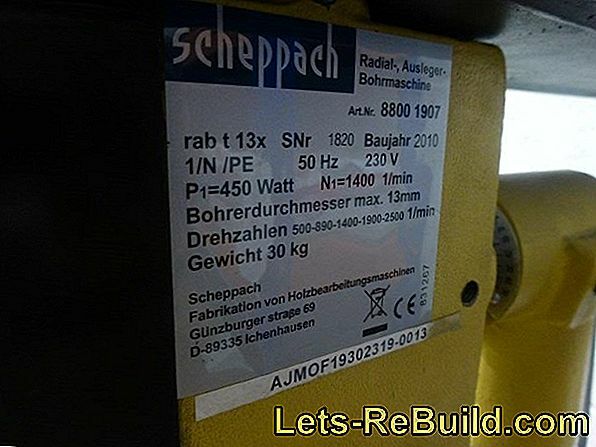 On Schlagwerk is cheap to produce and easy to integrate into a drill, Without major additional costs, the buyer can be offered more. Therefore, only a few manufacturers rely on pure drills. 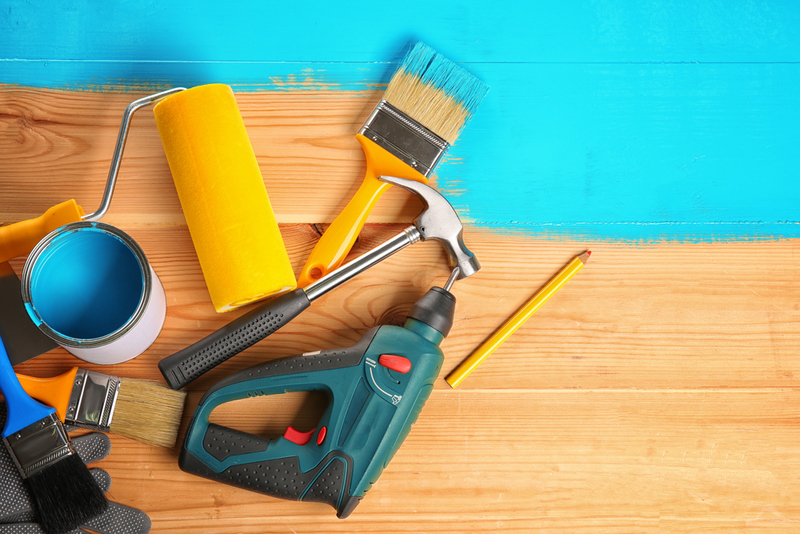 Typical users buy a drill that they can use to drill in wood, but also in their wall to hang a picture or shelf. The switch-off impact mechanism is not a hindrance and offers the advantage of being able to use the machine for different materials. 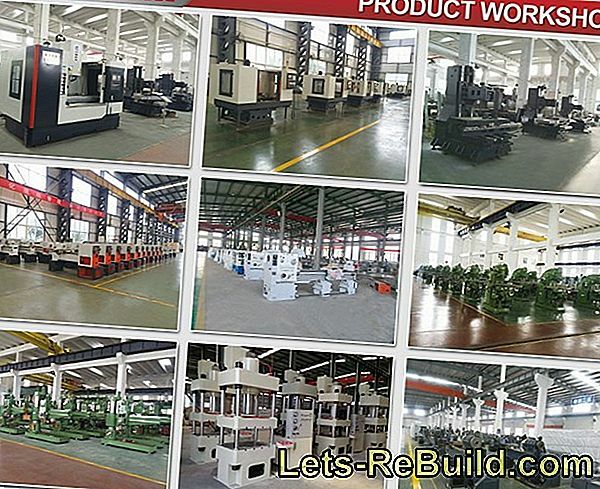 Why should still pure drilling machines be produced? They still exist - the pure drills. However, the term "simple drill" can be used for this in the fewest cases. Impact drills have a small disadvantage due to the hammer mechanism. Your Drive shaft is interrupted and can therefore be stored in the housing only relatively short, In addition, the drive shaft must be mounted axially movable with the chuck to transmit the impact effect. All this makes it difficult to guarantee a good run of the feed. However, if you attach great importance to this, you need a drill without a hammer mechanism. They guarantee perfect running food and precision. Therefore, such drills are already something special and more in the professional field settled. As described under drills without impact function, it is quite easy for the manufacturer to equip a drill with a striking mechanism. Thus, it offers the user a larger range of functions and this requires only one machine for drilling with and without impact. But how does a percussion work and how can it be deactivated easily? For this purpose, the drive shaft hiss engine (possibly gear) is interrupted and arranged offset. Behind the last piece of drive shaft with drill chuck There is a fixed pulley in the housing, Such is additionally attached to the drive shaft, which slips under pressure in the axial direction over the fixed mounted and thus generates the impact function. However, this is only as strong as the applied force with which the percussion drill is pressed in the direction of drilling. Recognizable is a percussion drill at a rapid rattle, which can be up to a screeching sound very uncomfortable. Since the impact energy only takes place by the pressing together of the toothed discs, this function can just as easily be deactivated. For this purpose, only a lock is inserted, which prevents axial displacement and thus the slipping together of the toothed discs. This function can be recognized when the chuck is manually pressed against the machine, With the impact function deactivated, only a minimal stroke is felt, as the axial movement is prevented. However, if the impact function is activated and the axial movement released, the chuck can be pushed further into the machine. Hammer drill with chisel function. As a third drill is called the hammer drill, even if he has little to do with the actual drill because he drills less. This is because the hammer drill is designed for hard materials that are not typically cut with a drill bit. The Rotary hammer works more like a chiselwhich is rotated under constant impact function. The typical spiral of the drill only serves to transport the dust out of the borehole. A rotary hammer does not cut into the material, it smashes it to dust and carries it out of the hole. Unlike a drill, no physical force is required for the impact or hammer function. The hammer mechanism amplifies the stroke independently by a sophisticated mechanism by means of air compression and a movable percussion hammer. For a high impact energy It is even helpful not to press the hammer too hard against the material, Instead, the drill should "dance" on the material. Rotary hammer drilling with a rotary motion and for reinforcement, the hammer mechanism can be activated. Drill with chisel or chisel function - In addition to drilling and hammer drilling, the turning function can also be deactivated and use the hammer mechanism for chiselling. 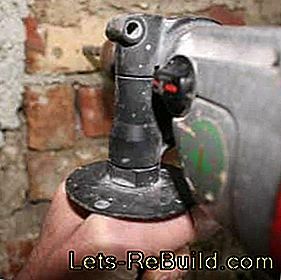 Stemming or demolition hammer - This is not a drill because there is no turning function. Stemmhammer have only one Stemmfunktion. This question is difficult to answer and of course depends on the upcoming work and the proposed drill. There are also purchase arguments, such as the mass-performance ratio. A powerful machine does not always have to be big and heavy, and a handy device is not a feature of slowing performance. Speed ​​limitation for even work. If the purchase of a pure drilling machine is envisaged, the focus is usually on weight, size and precision. This is about working with a small handy device that drills smaller holes. Important here is rather the speed instead of the power. If a typical cutting speed is used for drilling steel (20 m / min hand drill without lubricant), a theoretical speed of 3185 min-1 results even for a 2 mm drill. The smaller the drill or the softer the material is, the higher the required speed can even fail, Many drills often exceed their limits. Of course, holes can also be drilled at a lower speed. But sometimes it decides on the drilling progress and the quality of the hole. But it is important that the speed can be regulatedto achieve lower speeds for larger bore diameters. 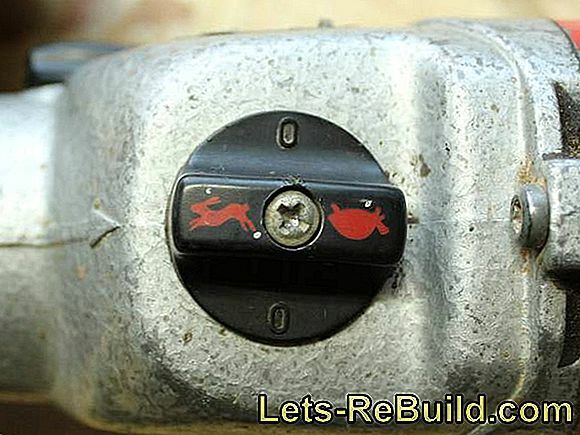 The speed control is done in many cases via a so-called gas trigger switch. It is practical if it has a speed preselection, This makes it easy to set the maximum speed for repetitive drilling work. As power should be considered a value around 500 watts. This is a good compromise between performance and size / weight. Larger machines quickly become unwieldy and thereby lose their precision. 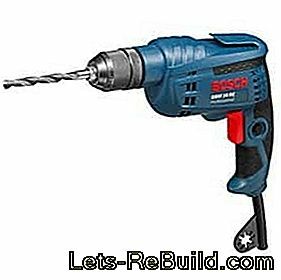 The purchase of a hammer drill usually involves two points, the drilling of holes and bricks and bricks, as well as more power for larger holes in wood or metal. As for drilling in masonry own strength and also the weight promote the Bohrfortschritt, impact drills may like to be slightly larger and stronger. Gearbox for different speed ranges. 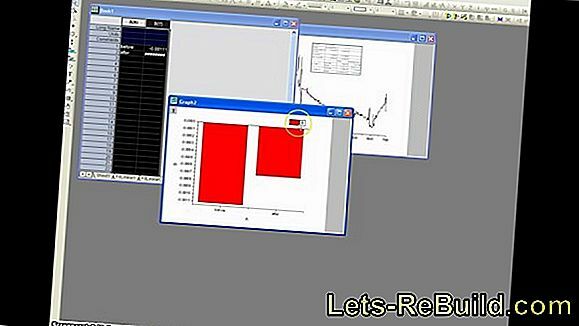 Even with 750 to 800 watts, good results are achieved. The specified maximum number of impacts can be neglected here, since these are similar, depend on the speed and have no effect on the impact energy. The Required speed is rarely more than 2000 min-1However, many devices offer a 2-speed gearbox due to their size and reach up to 3000 min-1. Whether the speed is actually needed is an open question. However, the transmission offers a special advantage. In the smaller gear, a higher torque is achieved at a lower speed, so that the machine can also be used for screwing. In the long term, a hammer drill is certainly too heavy to screw, but with a good performance, it can relieve the cordless screwdriver in heavy tasks. When buying a rotary hammer, it must first of all be distinguished whether it should only be used for drilling or lifting. 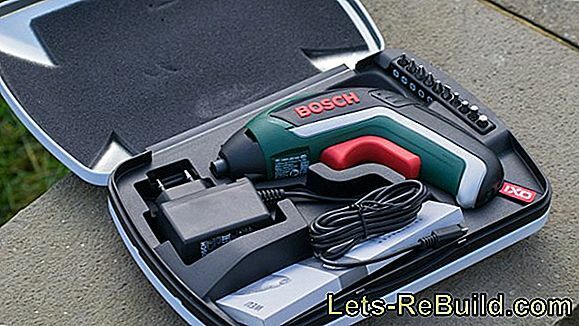 However, the fewest cable machines make a difference, with cordless devices rather rarely have a chisel function without rotation or are in a price level, which does not pay for a home improvement. Drilling hammer for drilling, hammer drilling and mortising. 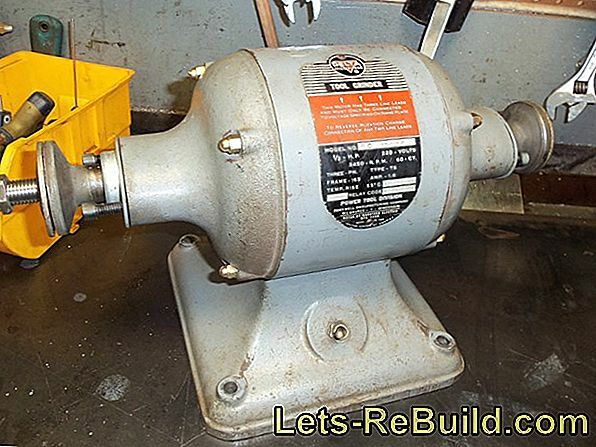 The Watt specification of a rotary hammer says only limited about the "power" of the hammer. Unlike drilling machines or percussion drills, it is not the force that applies the rotary motion that counts, but the impact energy that can be generated with varying degrees of efficiency. So it actually happens that a hammer drill with 850 watts generates a strike energy of 2.5 joules, another model with almost 300 watts more but only reached 2.8 joules. Even if, as one likes to say with the car - displacement is irreplaceable - should be the impact energy in the foreground and not the performance. A distinction must also be made as to whether the hammer drill should only be used for drilling in stone and concrete or for caulking work. Those who live in an apartment building often have to fight with very hard walls, but will not have any cheating tasks. An impact strength of 2.5 joules is absolutely sufficient for this. Larger devices would be unnecessarily heavier and unwieldy. However, if regular stemming work is added to the home, the impact strength may be slightly higher. With frequent changes of work even a second device can make sense, since heavy boilers are only partially suitable for exact smaller holes in concrete. 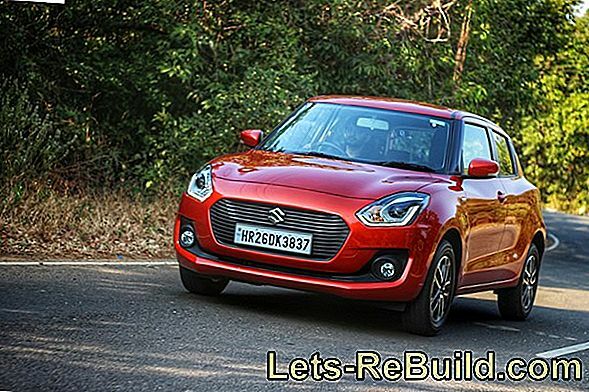 The station wagon makes it: A combination of a small, good and high-quality hammer drill and a favorable demolition hammer or powerful hammer drill with stemming function is often the better choice here. No hammer drill without additional handle. Sure, a drill is primarily drilling. But many accessories turn a drill into a multifunctional tool. Many have to be purchased separately, but some are also part of the basic equipment. A simple drill only serves to drill mostly small holes. Important is often the weight and size. Add-on parts would rather limit the possible uses than expand. Therefore, more accessories are rarely needed. It makes sense, however, if it is equipped with a collet neck. 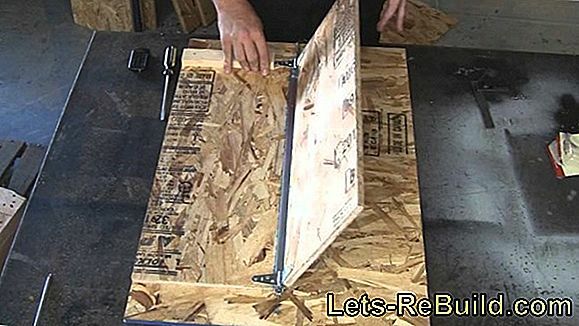 Thus, if necessary, use a second handle and use the drill in a drill stand as a bench drill. The situation is different with a percussion drill. For their use is usually a great effort and therefore secure grip needed. The second handle should therefore always be there, In addition, to limit drilling depths, a depth gauge is a thoroughly useful accessory. Those who use this frequently, should pay attention to a metal version. An exchangeable chuck makes the rotary hammer flexible. 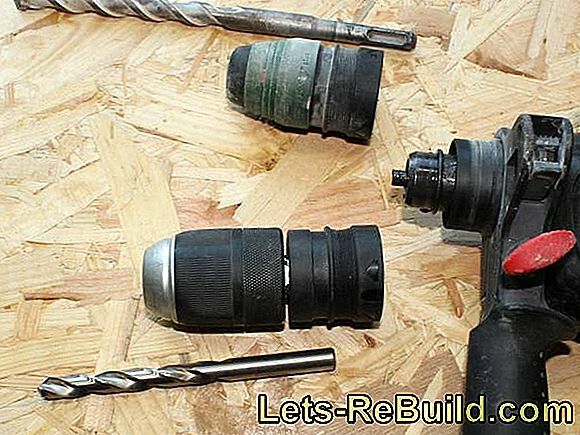 Something the accessories of a hammer drill may be more extensive, Standard should be, as with the impact drill, the auxiliary handle and the depth stop. If the first rotary hammer is purchased, the SDS chuck will result in additional drill and chisel requirements. Anyone who pays attention to this at the time of purchase saves additional expenditure and can be sure that the tools will fit into the suitcase. For higher quality machines, however, appropriate accessories can also be negotiated. The SDS lining, however, also results in another disadvantage - existing wood and metal drills can no longer be used. If you still do not want to give it up, you should pay attention to a slip-on or exchange chuck. Chucks are plugged into the SDS holder and are ready to use. However, they are only as accurate as the SDS lining, which must have play for proper functioning. In addition, the rotary hammer is extended by the length of the feed and becomes less manageable. An exchangeable chuck is exchanged for the SDS feed. Advantageously, it offers a very good concentricity and affects the tool length only slightly positive or negative. 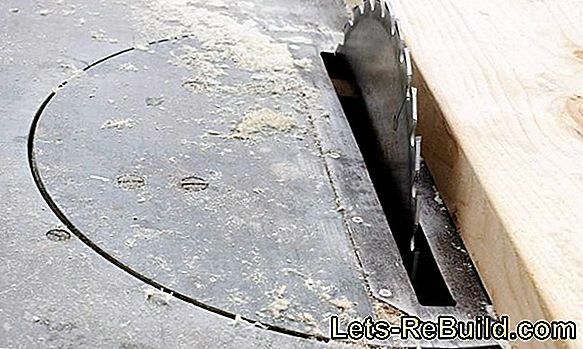 ➤ current circular saw comparison 2018 on lets-rebuild.com. 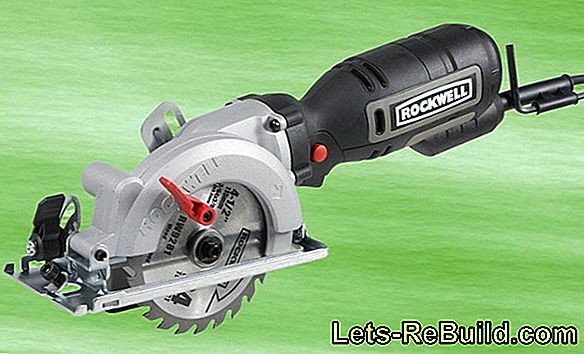 Compare now and order top circular saw cheap! With the dp16sl we had a rock solid and cheap column drill in the test. Only the depth stop did not convince us. 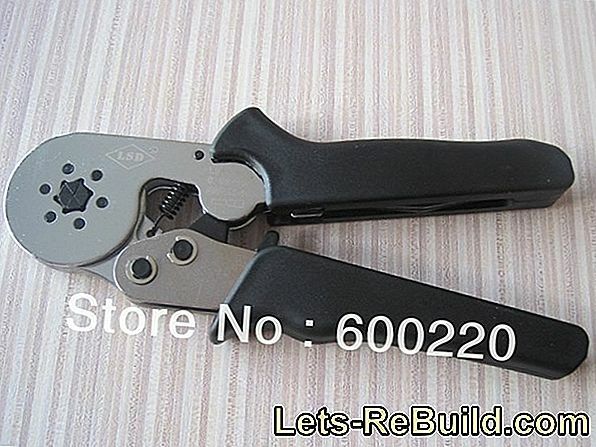 ➤ current wire end pliers comparison 2018 on lets-rebuild.com. Compare now and order top wire end pliers cheap! Pillar drills, pillar drills and bench drills are very similar, but offer several advantages and disadvantages. 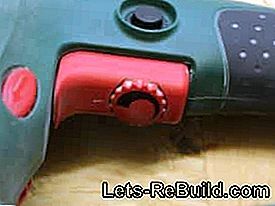 ➤ current delta sander comparison 2018 on lets-rebuild.com. Compare now and order top delta sanders! In the test: workshops must be well structured, tidy and sometimes mobile. Blucave from batavia offers a clever system for this. ➤ current grindstone comparison 2018 on lets-rebuild.com. 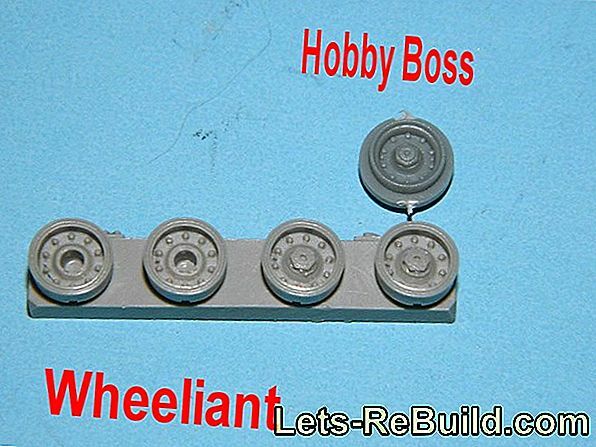 Compare now and order top whetstone cheap! If the borehole is too large, you can use power plasticine to fill the hole suitable for the dowel; completely without putty.